2 Section Top is made of perforated sheet. Backrest positions obtained by Smooth Crank System with foldable handles. ABS moulded Head and Foot panels . Legs mounted on hard rubber or wheels. 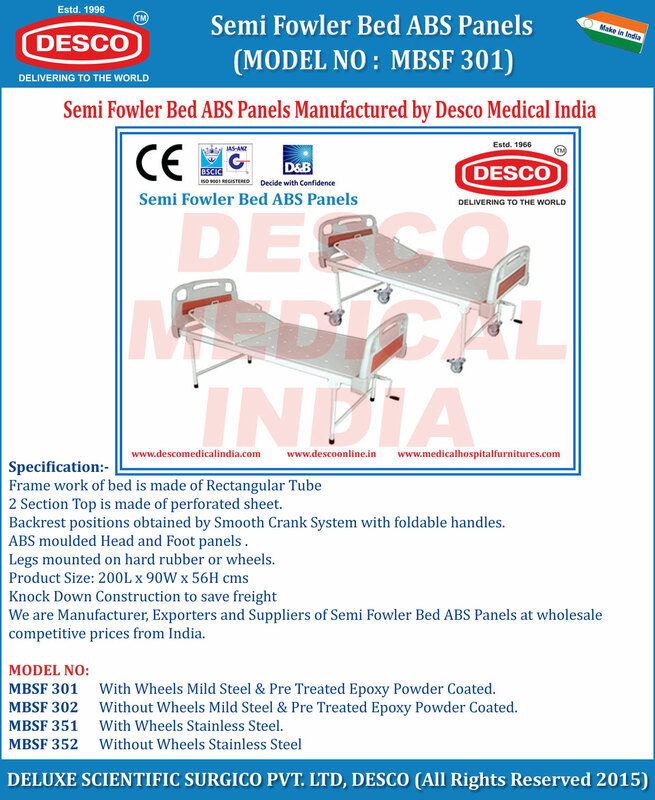 We are Manufacturer, Exporters and Suppliers of Semi Fowler Bed ABS Panels at wholesale competitive prices from India. MBSF 301 With Wheels Mild Steel & Pre Treated Epoxy Powder Coated. MBSF 302 Without Wheels Mild Steel & Pre Treated Epoxy Powder Coated.